Knowing how to set up a complete exercise schedule that includes all the activities you need to do – cardio, weight training and flexibility – can be overwhelming. Add the time and knowledge it takes to choose exercises, weights, reps and sets and you may quit before you even start. This is where a personal trainer can be the biggest help. He can help you maximize your time while keeping you within your own limits so you don’t overdo it. He can also help you set goals and map out a specific schedule so you know when, how and where you’ll fit in your workouts. 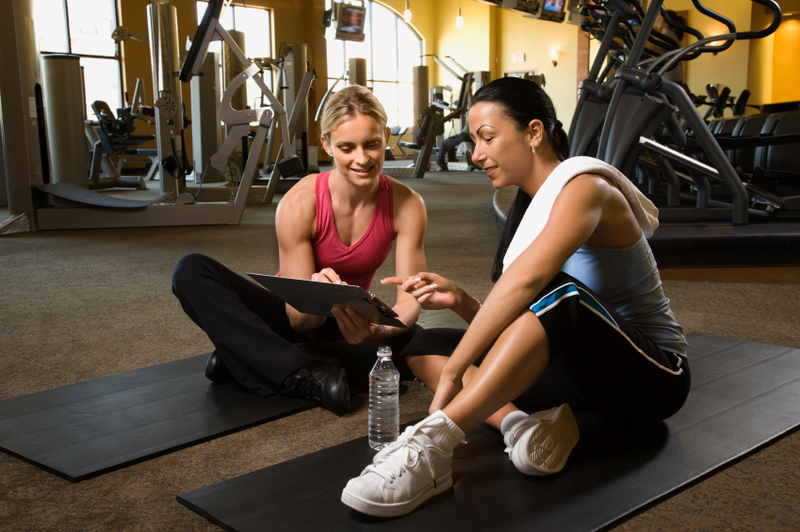 If you’re an experienced exerciser, maybe you haven’t considered working with a personal trainer. However, it can be a great choice if you need some variety in your workouts. A trainer can bring a fresh perspective and new ideas to challenge both your body and your mind. Even if you just do a few sessions or meet every few weeks, you’ll find it refreshing to have new workouts and new exercise toys to play with.